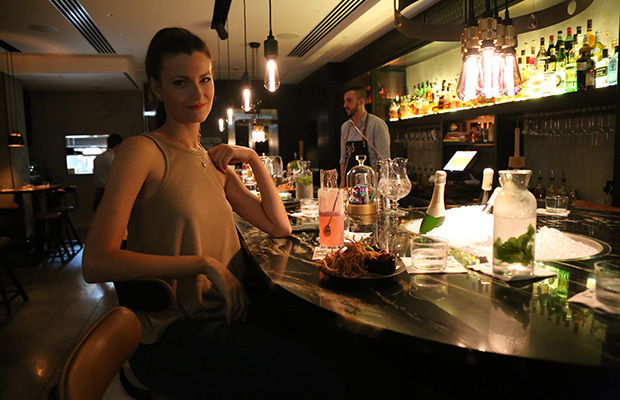 We recently enjoyed a stay at Ultra, Tel Aviv’s newest boutique hotel. Located behind the U.S. Embassy on a quiet stretch of Hayarkon Street, it is minutes away from the beach, with most of Tel Aviv’s top destinations easily accessible by foot, bus, or taxi. You enter the hotel from the street-level hotel bar, Botanika, and the lobby is easily accessible via stairs or elevator. The exterior of the hotel is such that you could easily walk by and not even know that a hotel is housed within. But as you leave the hustle and bustle of gritty, street-level Tel Aviv, you will immediately be soothed by the swanky decor. Nearly every aspect of the hotel has been thoughtfully designed with an emphasis on both aesthetics and comfort. In that respect, its modern, minimalist look seems inspired by hotels like the Standard Hotels and the W.
The rooms are not large, but they are thoughtfully laid out with plenty of space for luggage, a hanging closet, a safe, a large comfy queen bed, a large flat-panel TV, free Wi-Fi, bathrobe and slippers, and a rain forest-style shower. There are even environmentally friendly toilets that reduce water consumption by 100,000 liters a year! Your stylishly appointed room can be accessed via smartphone app (which is very cool), with a key card, or — if you want to go old school — with an actual key. The lobby area has a smart-looking and relaxing lounge, stocked 24 hours a day with free coffee and snacks. 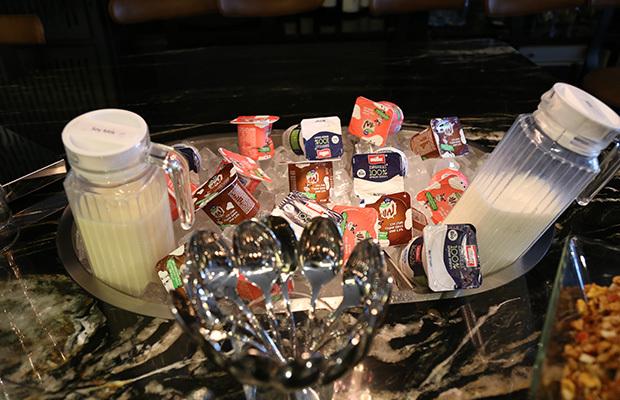 Ultra also provides its guests with a continental breakfast buffet. A continental breakfast is usually a disappointing pastry and some coffee, so I wasn’t expecting much. However, the Ultra breakfast was plentiful and satisfying. 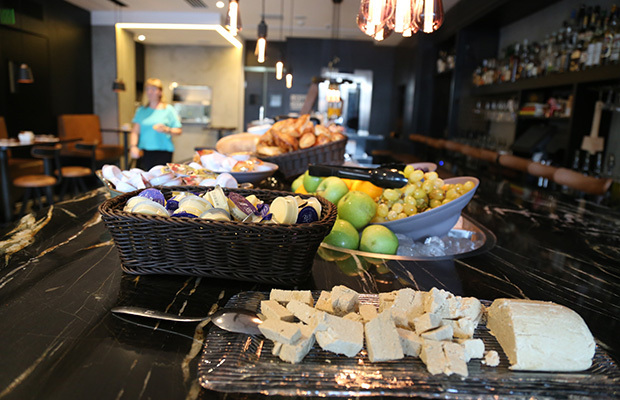 It included cereals, pastries, Israeli salad, tuna salad, a selection of cheeses and breads, scrambled eggs, yogurt, milk, and juice. It wasn’t quite as large or decadent as some of the breakfasts you’d find at more expensive hotels in the area, but everything was fresh, delicious and filling. One gets the sense that all guests at Ultra are treated like VIPs, with no differentiation in service. We found the staff to be friendly, accommodating, and informed; we knew we would enjoy their suggestions of things to do because they seemed like people we would want to hang out with. Every aspect of Ultra seemed curated — everything from the books available for guests to the comfortable beds and soft sheets to the cool design of the hotel. Everything about it leaves you in satisfaction and comfort. We felt like we had truly discovered an oasis of personal service and hipness in a desert of mundane and impersonal hotels. 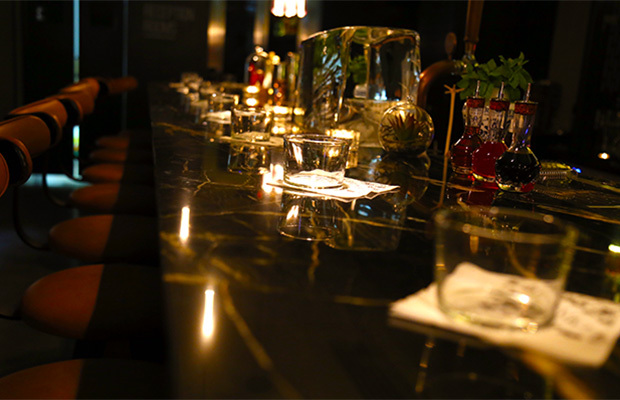 We’d be remiss if we didn’t mention the excellent hotel bar, Botanika. You have to go through the bar to get to the lobby — but it’s not like most hotel bars, which seem to exist solely to sell overpriced beer to hotel guests. 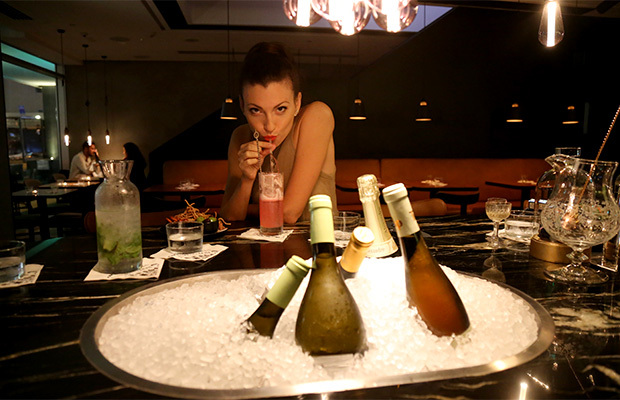 Only the coolest hotels in the world have bars that one would patronize even if one wasn’t staying there — and if the bar patrons of Tel Aviv have any taste at all, Botanika is sure to become one of the premiere drinking hubs of the city. The décor is slick but eclectic. 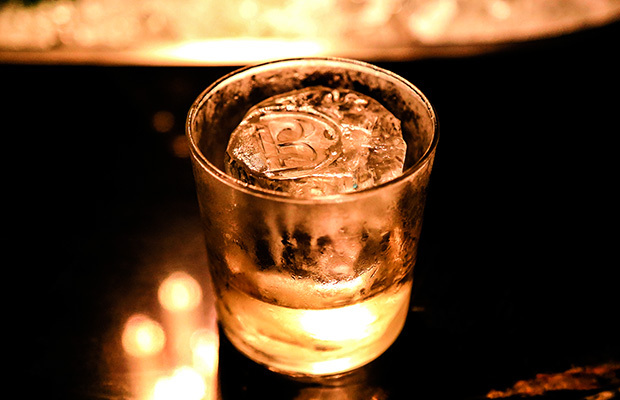 The middle of the bar is dominated by a huge hunk of clear ice; this specially made ice achieves a glass-like clarity due to the absence of impurities and gases in the water. Besides looking very cool (literally), clear ice melts slower and lasts longer in your drink, leaving you with a colder, less watery cocktail. 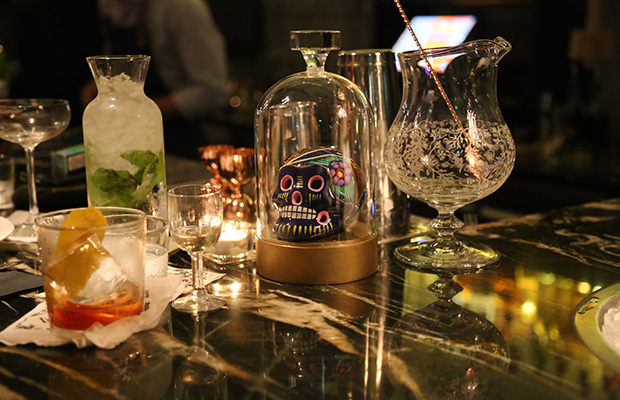 This thoughtfulness and attention to detail is reflective of the passion with which Botanika infuses both drinks and bar food. Botanika Ice? 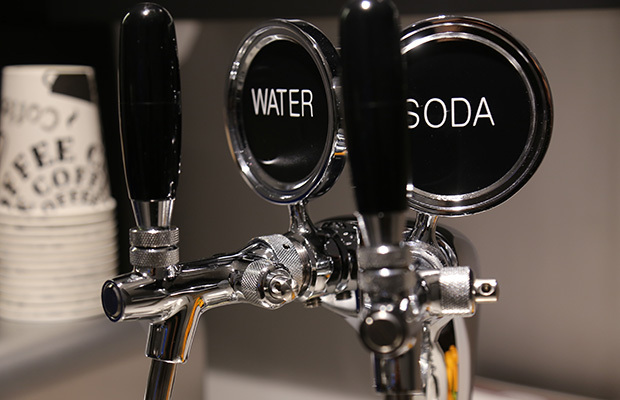 Better for your drink! 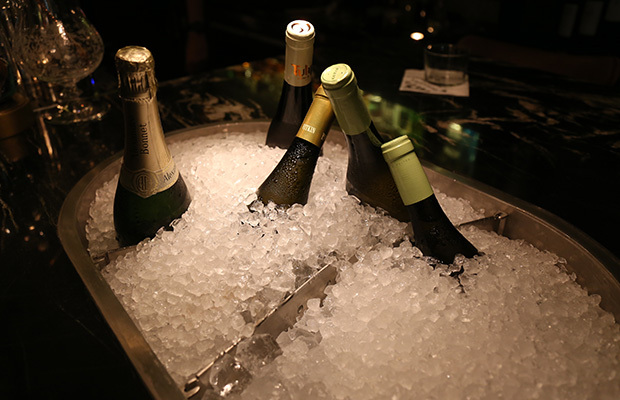 White wine and Champagne - Always ready! Botanika has a cocktail menu that is both fun and serious. They make their own take on the classic Scandinavian spirit aquavit, and they have seminars on agave. 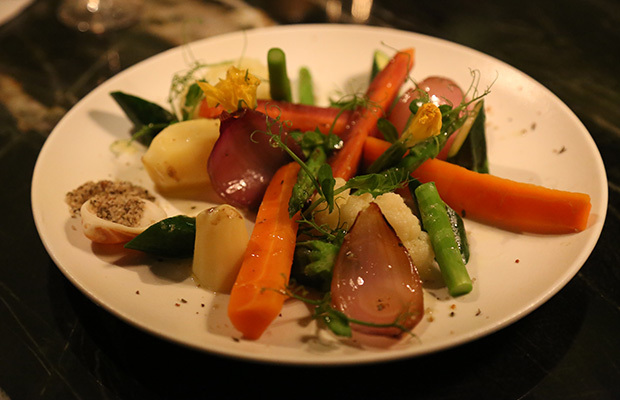 The end result is original, creative and delicious. The wine list is entirely Israeli, a rarity in Tel Aviv, and an exciting reflection of the great wines available in our own backyard. 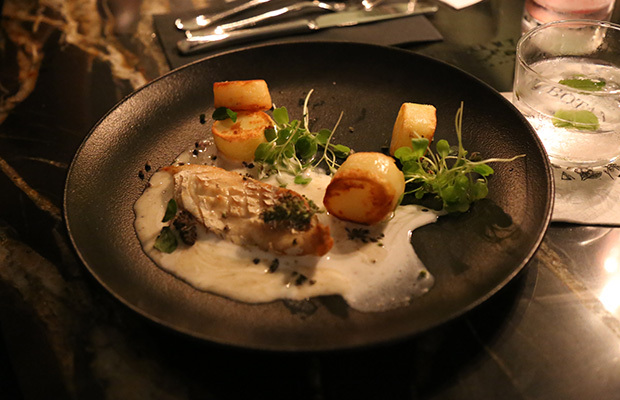 The bar food is just as thoughtfully executed as everything else in the bar. 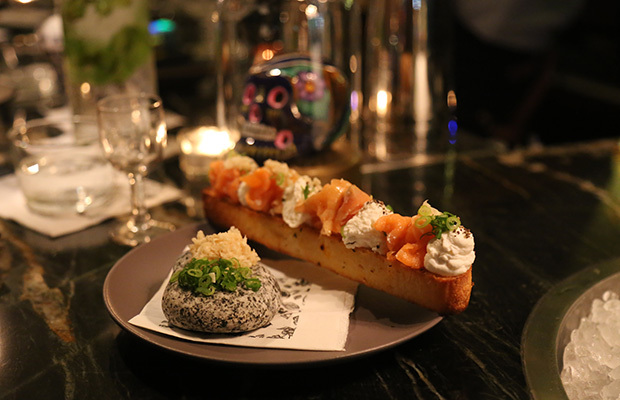 For instance, the open smoked salmon sandwich uses ricotta cheese and white horseradish for a flavor that was at once familiar and unique. 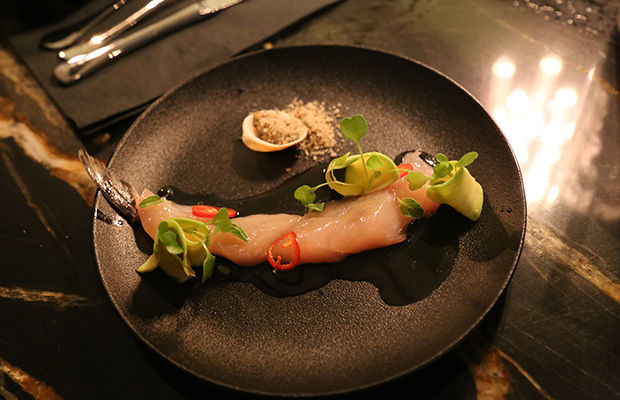 The tiradito (Peruvian raw fish dish — think ceviche) presented fresh Mediterranean sashimi with a touch of lemon, hot pepper, and avocado — simple, beautiful, and delicious. 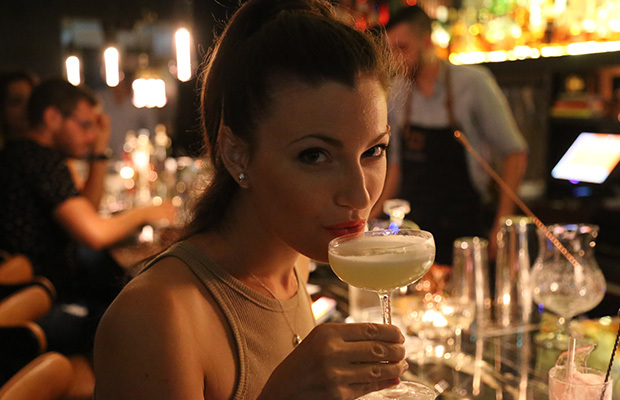 Is Botanika a great bar with a hotel upstairs? 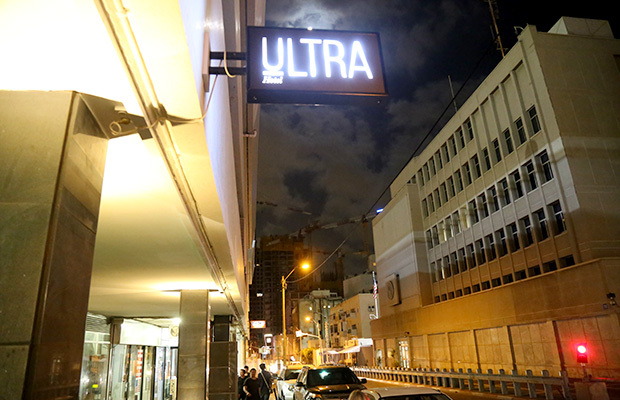 Or is Ultra a great hotel with a bar downstairs? Both, we decided. You’ll have to experience this yourself to fully understand, but we’re already looking forward to our next visit. The overall Ultra/Botanika experience made us feel like we were privy to a hidden, secret place known only to insiders. That may foster a certain smugness, but it doesn’t prevent us from wanting to share our knowledge with all of you. But we were here first so we’ll always be able to lord that over you. Ha! is that Sarah’s sister in the pics?